FEM PROG BAND are a young Italian five-piece that rose from the ashes of other minor bands and whose musical influences include styles as diverse as classical, jazz, Gospel and Renaissance vocal music. They originally called themselves LA FORZA ELETTRO MOTRICE and their repertoire consisted of performing covers of songs by the so-called big three of Italian progressive rock and their UK brethren. 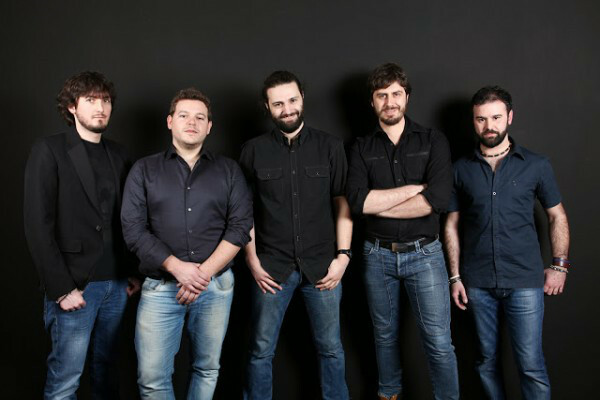 The band has undergone various changes of personnel since their formation in 2007, with keyboards-player Alberto Citterio and guitarist Paolo Colombo being the only remaining founding members. They quickly added their friend Marco Buzzi (bass) from a METALLICA tribute band and during 2008 they intensified their live activity with a series of gigs at the major venues in Milan. With the arrival of drummer Emanuele Borsati in the following year the group abbreviated their name and switched to performing their own material although they continued to try to recapture the sound of seventies prog. Giacomo Balzarotti (vocals, classical guitar) completed the current line-up in 2010 and since then they have been working on a concept album based on a short story by German philosopher Kurd Lasswitz. Titled ''Sulla Bolla Di Sapone'' (On the Soap Bubble) the album is ready to be recorded but to fill the gap until its release they have issued the self-produced ''Epsilon'' EP, a highly promising debut that communicates the intensity of the band's deeply introspective lyrics against a backdrop of lush symphonic prog. On the strength of this release FEM PROG BAND would certainly seem to have all the attributes required to become one of the front-runners in the field of modern Italian prog. Highly recommended. After falling in love with 2014's Sulla Bolla di Sapone--an album that appeared out of nowhere and snuck into my Top 10 Albums for that year--I found myself very excited to hear of this new release from these young Italians. And though different, it has not failed to live up to my hopes and desires. 1. "Il palazzo del chaos" (0:25) an introduction to the chaos that is not to follow! 4.5 stars; a near masterpiece of theatric and intricately constructed and performed progressive rock music. FEM is a band that is firing on all cylinders: all members are working very tightly within some very intricately constructed compositions--plus there are extremely proficient musicians manning all of the contributing instruments (I love the trombone presence). And, Welcome new lead vocalist Alessandro Graziano! You are quite gifted! The following "Microgen" is divided into two parts. The first is an instrumental one that begins by a dazzling sound of synthesizers and draws you in a mysterious atmosphere. Then, on the second part, the music and lyrics invite you to try, try hard to think of the world in a different way. One of the two men in the garden, uncle Wendel, is a very peculiar genius, half alchemist and half scientist, who has discovered a tool that can make everything very small and that's called microgen... Each of the conscious capabilities would be altered so that all qualitative perceptions remained the same, but all quantitative relationships are reduced in scale. He maintained that he could shrink any individual he chose - along with their view of world - to one millionth, even one billionth part of normal size... "Do you want to discover Microgen? / Do you want to try Microgen? / Can you understand microgen? / Here you are! It's microgen's time...". The heavier, dark instrumental "Il signore dei pensanti" (The Lord of the Thinkers) takes us on a trip to the capital city where the head of state of the Saponiens, who bears the title Lord of the Thinkers, resides. It's a good chance to learn more about this strange civilization. 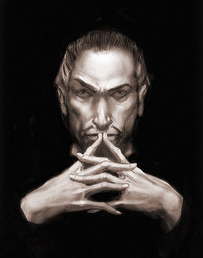 In fact, the Saponiens call themselves The Thinkers for the study of science is held in the highest regard and the whole nation takes a keen interest in the scientific disputes of their learned men. Later we have the chance to attend a trial against a local scientist called Glagli: the music and lyrics of the following "Processo alla verità" (The truth on trial) describe the trial. In some way it recalls the trial of Giordano Bruno or GalileoGalilei where conservative, obscurantist thesis prevail on rationality. Beware! During the trial one of the protagonists speaks up and commits the error to get involved in the argument backing Glagli's innovative theories and tells the assembly the story of their journey to the soap bubble... "Outrage! Blasphemy! Madness!" echoed all around, and inkwells flew at my head. "He's mad! The world a soap bubble? His son made it? He pretends to be the father of the creator of the world! Boil him! Boil him!". 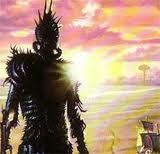 Well, it's time to get back I fear... "Here we are! / It's time of the micrgen!". "Riflessioni" (Reflections) is a beautiful instrumental acoustic piece full of classical influences and delicate nuances that leads to "Il peso della conoscenza" (The weight of knowledge) where the music and lyrics invite you to reflect about your experience and to look at the world with an open mind and a new awareness. Now subtle sounds drive your thoughts, you can hear the voice of conscience telling words that seem void but bear the weight of knowledge. Knowledge can mean responsibility and revolution, wisdom can be misunderstood and confused with madness, we can find threatening what we can't understand... It can't be understood, I can't explain it to you; it would be no use. People remain people whether large or small. They never look beyond themselves. Why should I let it cause trouble? Formed back in 2007, Forza Ellectro Motrice (or F.E.M, because all the cool prog bands have three digit abbreviated names!) made an early splash back in 2012 with a short 22 minute EP entitled `Epsilon'. Breezily in debt to the vintage Italian Prog acts, it displayed plenty of potential and was positively received by RPI fans. 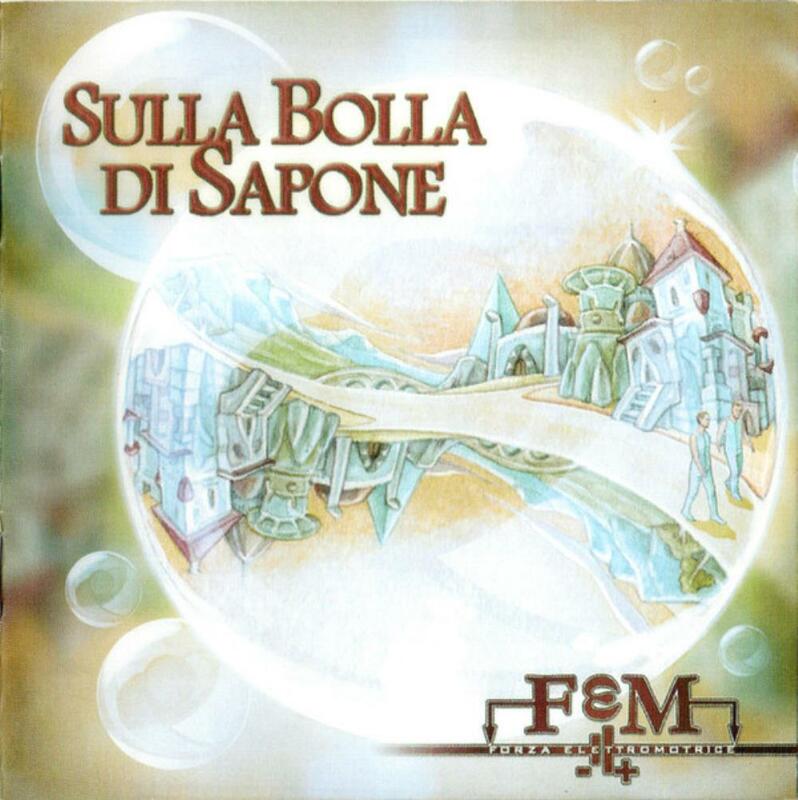 But for their proper full length debut two years later, `Sulla Bolla di Sapone' (`On the Soap Bubble', loosly based on a 1887 tale by Kurd Lasswitz) shows the band stepping up in a big way, offering a lengthy work full of colour, liveliness and endless variety, but best of all bringing more personally distinctive characteristics of their own for their modern take on symphonic prog. One of the instantly standout qualities on the album is the youthful lead vocals of new singer Massimo Sabbatini. Although still theatrical, he actually brings a snarling, energised and buoyant young presence instead of the more pompous and stuffy vocals often found on Italian prog albums (that's not actually a criticism!). The band offer a mix of spirited and strongly melodic vocal pieces with lengthy instrumental passages throughout, as well as fully instrumental tracks too, all seamlessly weaving together with no breaks in between. It's a lot to take in on initial listens, but repeated plays not only reveals a successfully flowing work, but also plenty of complexity and fresh ideas. The band race through a series of symphonic prog arrangements with plenty of classical sophistication and prettiness, little moments of harder guitar bite, lightly jazzy diversions, psychedelic quirkiness and orchestral bombast, most constantly up-tempo and full of spontaneity. Looking at several of the highlights, `Il Giardino delle Consuetudini' is a punchy little melodic pop/rocker opener, then the psychedelic two-part `Microgen' starts by exploding with Alberto Citterio's liquid delirious Moog, organ and Mellotron runs over Emanuele Borsati's thrashing drum-work, the piece taking on a loopy quaklity that wouldn't sound of place on a Flower Kings album), before a forceful vocal spits with deranged menace. Delicate classical piano solo interlude `Il Mondo Bianco Opaco' allows the listener a brief moment to catch their breath from the noise of the previous tracks, before launching into the upbeat and up-tempo `Consapevolezza', then `Inctontro...' that blasts back and forth with violent heavy guitar riffing, pounding beats over swirling synths and intimidating Mellotron choirs. `Neella Citta' moves through a range of tempos and moods, at heart a joyful melodic rocker powered by Paolo Colombo's driving soloing guitar runs alongside delirious Moog noodling with victorious themes, and `Il Signore...' introduces booming brass that recalls the orchestral pomp of the Alan Parsons Project. `Processo Alla Verita' has Marco Buzzi's murmuring bass, forceful heavy guitar, piano pops and disorientating group vocals that rise into the air on Mellotron wings. Especially take notice of the following stretch of blissful tracks in the last quarter of the album. The gently dreamy `Riflessioni' floats on clouds with twinkling jazzy piano and breezy flute, `Un Viaggio Lungo ' cruises along on mellow grooves with dazzling synth spirals and `Reviviscenza' offers nimble fingered darting bass and trilling Moog ripples, again very much in the style of the Flower Kings and other modern symphonic bands, with some lovely drowsy bluesy guitar like early Pink Floyd. The final two pieces close the album with symphonic power and grandiosity, leaving the listener to consider the exhausting amount of talented playing and ambitious compositions they've just witnessed! Perhaps it's a little too long (15 tracks! ), but along with younger bands such as Unreal City and Ingranaggi della Valle, F.E.M are offering classic Italian prog influences successfully mixed with modern sensibilities, all performed with a youthful vigour and spirited energy. Respectful of the past without simply slavishly remaking it, fans of the older vintage acts should give this band a listen to see how the proud tradition of the past masters is in good hands and carrying on in a grand and promising fashion. Bravo to Forza Ellectro Motrice for changing their approach and ensuring that `Sulla Bolla di Sapone' crackles with energy, inspiration and potential. One of the strongest symphonic prog albums of 2014, and certainly one of the more happy surprises to discover amongst Italian prog in 2014! If you've been getting the itch to hear some new rock progresivo italiano that goes all out to give you mountains of synths, crunchy guitars and Hammonds, and the high standard of vocals that we've come to expect from RPI bands, you've stopped at the right place. I present to you Forza Eletromotrice, or FeM as they more commonly call themselves. With their debut full length record, Sulla bolla di sapone, FeM delivers a lengthy feast of symphonic prog based on the story "On the Soap Bubble" by Kurd Lasswitz. Interestingly enough I was introduced to their EP a couple of years back and pretty much dismissed it as being a bit bland, but my-oh-my am I glad I got a second chance with this Milan-based quintet. While their sound certainly is richly influenced by their forefathers (Banco, PFM, and Le Orme), the songs are convincing, masterfully performed, and emotional as they present a complete album that maintains a wonderful flow while effectively incorporating prog, fusion, and classical. If you're anything like me you won't have to dig deep into this album to really get into it; right from the start FeM dives in with a trio of pieces that waste no time in going all out. "Il giardino delle consuetudini" shows us right from the get go that this is a powerful group as they deliver an assault of blaring Hammonds, jazz elements, and a catchy chorus that you'll find yourself humming along to. As the album seamlessly flows into "Microgen" 1 and 2 the band shows that they can swing from in your face guitars and keys to a latin feel and an epic outro replete with choirs, swirling synth leads and a pounding dirge featuring powerfully high vocals. Just as quickly as FeM can get explosive they can also surprise you with subtle, beautiful tunes such as "Il mondo bianco opaco," a romantic piano piece that shows off Alberto Citterio's knack for both delicate melodies and technical runs, nicely augmented by a soft synth pad and glockenspiel interjections. Much further down the road in this album I was excited to hear "Riflessioni," a piece that almost feels like an intended follow up to "Il mondo bianco opaco" (which it might intentionally be for all I know). Moving from flutes to piano, acoustic guitar and glockenspiel, the melodies are simple, yet powerful. It's always hard to choose favorites on a good concept album, but if there's a particular section of Sulla bolla di sapone that comes to mind, it's right around the middle of the album, starting a little more than half way through the instrumental "Il signore dei pensanti" and ending with the close of the following song, "Processo alla verita." What caught my attention about the former is the fantastic execution of dark, cinematic brass interwined and doubled with lead guitar that painted a very powerful musical image before flowing to what is perhaps the most distinctly Italian sounding piece on the album: "Processo alla verita." The interplay between choir vocals, instruments, and solo voice is brilliant, and the flawless transitions from tron and moog to organ and brass are magnificent as they receive effective support from bass and guitar riffs. As the piece moves towards the finale it becomes absolutely menacing as the shouts of "Sacrillegio! Pazzia!" continue to ring in our minds while Sabbatini delivers the final repeated lines "Ecco il tempo del Microgen" over dense atmosphere of swelling synth bass and swirling keyboard lines. In the end, FeM is simply an an amazing group of musicians where each player really delivers on their end of the field. The rhythm section shows Borsati and Buzzi to be a strong duo, whether it's Borsati's powerful groove that's demonstrated right from the top of the record or Buzzi's ultra tasty bass licks that really shine on Reviviscenza." Colombo shows head-spinning riffing on songs like "Incontro con i saponiani," however his true power lies in his ability to subtly lay down meaningful lines that support each and every piece whether they are his distinguishable fusion interjections or well arranged chords filling in the background. On keys, Citterio proves himself to be a forced to be reckoned with in the prog scene. The closer, "E il mondo scoppiera," is proof of his clever and effective arranging and playing as he provides nuanced arrangements jumping from Hammond to glockenspiel and an arsenal of analog synths which culminate in a powerful Mellotron theme that recalls just a bit of Genesis' "Watcher" intro but in a much more delicate context, really capitalizing on the contrast of quiet to make each chord shift count toward an introspective closure of Sulla bolla di sapone. Let us not forget to mention once again the contribution of Sabbatini's stellar vocals, blending the Italian tradition of the likes of Banco with a sense of modern expression that you'll find familiar if you've been listening to contemporary RPI bands like La Conscienza di Zeno and Barock Project, culminating in a captivating theatrical ride. With Sulla bolla di sapone , FeM certainly finds itself among the high quality symphonic acts of their countrymen and leaves me anxious to hear more from them in the future. Among prog sub genres, I am especially fond of the Italian prog which seems to get air from its own sphere and I have noticed that I easy use to like this music. Because it is that they sing in their own language that is so geunine, the though of not doing that is just stupid. 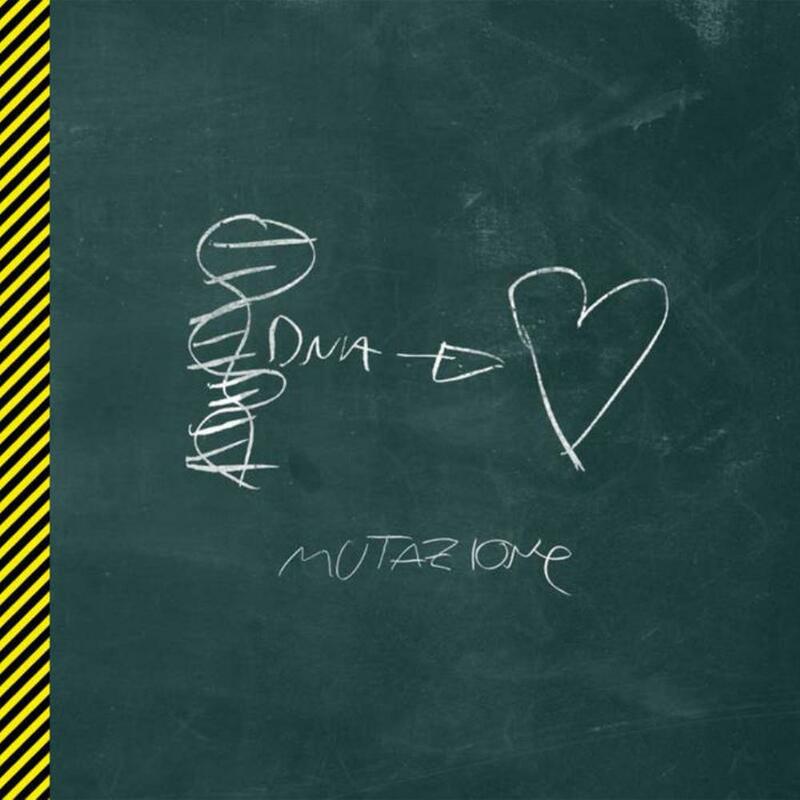 Forza Elettro Motrice which FEM stands for is a new prog band which record "Sulla Bolla di Sapone" is the next record for me to encounter. I have heard it twice and most say I like it. They are five guys in the band and I most say the music is quite keyboard and guitar driven. The music is similar to pop prog as The Flower Kings with catchy symphonic lines in particular performed through the keyboard. The cover of this 2014's record is quite nice with a landscape we see in a bubble. I also like the sign of FEM, I don't think the similarity with PFM is a coincidence. But how to value this record? 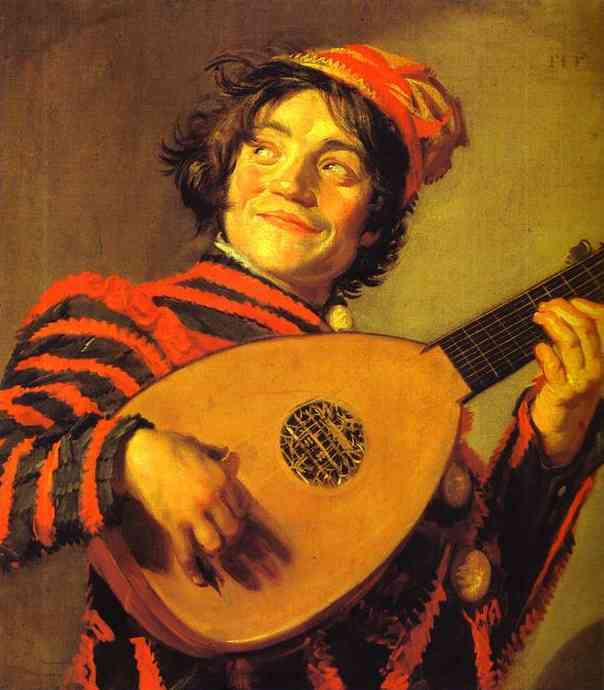 Yes, It is lengthy, contains a lot of music and the material is ambitious. I notice that the band has worked a lot with it and all the songs are parts of an easy flow. I think Massimo Sabbatini is the lead vocalist and he does a great job. His voice is powerful and rocky. Even if melodies are there and they are fine, do I find all the songs perhaps a bit too similar. They don't challenge me and don't get the deep interest, to be honest. It is fine material for sure so if you like modern symphonic prog, this is certainly something for you. I'd say it is worth three stars! "Il peso della Conoscenza" is one of the record's best tracks and one that I would recommend as well as "Un viaggio lungo un instante" or "Ritorno al Giardino". Sometimes there comes an album thats so good you just want to scream to the whole world about it, you just want everybody to know how good it is. This is one of those albums. When the band FeM goes in to the third song "Microgen parte 2", I'm just sitting and smiling to myself thinking this is the reason I love progressive rock. FeM is one of those rare bands that not only can they write great songs, they have the knack for creating just these killer moments that makes you want to rewind instantly. I was driving my car back to Stockholm, and I had to reach for the rewind button on the CD-player to hear just that moment one more time. Very few bands can achieve that for a seasoned vet progressive rock listener. There are 15 songs on the album, most in the shorter span but many of them are segued to each other so they are in fact longer than they first appear. 60 minutes of music is something that all bands can't manage keeping the quality up, but there are no fillers here. Of course in such a long album some songs could have been cut away to reduce the length but there is no deadweight so to speak. They also manages to play using the full spectrum, from lighter piano-based songs to almost getting in to hardrock, they can play light happy songs and they can get really gritty and complex. They also manage to keep it all together so it feels like one band with one style. I like how the band can spring up and surprise me with a beautiful melody, coming out of nowhere in the middle of a song. The band uses the full arsenal of guitars, keyboards, bas, etc with brass, flute, acoustic guitar and lots of great keyboard sounds like moog, Hammond etc. The vocals are handled by Sabbatini who has a stellar voice that complements the music perfectly. Soundwise they are firmly based in the great Italian progressive tradition, perhaps a bit more uptempo, try mixing La maschera di cera with ACT. I would compare them to other fellow Italians like Unreal city, La coscienza di zeno and LogoS. Be patient when listening to the album, the really goody stuff starts at the second half of the album. All in all; great songs, great sound and a great album! This comes highly recommended and is firmly at the top of the best albums of 2014. This is a feast of Italian progressive rock. Rating: 4,5 stars (I rarely give away 5-star ratings unless it's a timeless masterpiece). Italian combo FEM PROG BAND started out as La Forza Elettro Motrice back in 2007. Following an initial phase of members coming and going they solidified into a steady unit in 2010, and work then commenced on the creation of their debut album. Following an initial EP in 2012 their full-length debut album followed in 2014, released through the Italian label Altrock Records' "Fading" imprint. 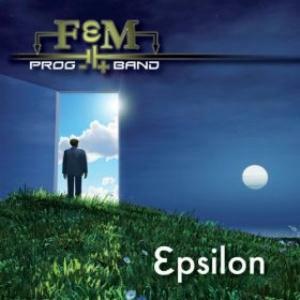 FEM Prog Band is a quality addition to the ranks of bands exploring a vintage-oriented variety of symphonic art rock. There's plenty of keyboards throughout, lots of organ and a fair amount of Mellotron, used in compositions that first and foremost appear to revolve around a style that points back to the likes of Genesis and Camel, but with some harder edged excursions and a touch of jazz-rock here and there for additional flavoring. The compositions come across as vibrant and energetic, and fairly accessible in nature and expression too, and come with a general recommendation to those who treasure vintage-oriented symphonic progressive rock. FEM stands for Forza Elettro Motrice, the real name of this group from Meda, Italy, evolving in 2007 out of the ashes of an act named QK and its former members keyboardist Alberto Citterio, guitarist Paolo Colombo and singer Paolo Borgonovo with Marco Buzzi taking over the bass and Dimitri Merati recruited as the drummer.The following year Merati and Borgonovo were replaced by Matteo Paparazzo and Raffaele Chiummo with Stella Colombo joining for a brief period on violin.Line-up changes continued in 2009 with Paparazzo being replaced by Emanuele Borsati and Chiummo quiting in 2010, as Giacomo Balzarotti enters the picture on vocals and classical guitar.At the time FEM Prog Band had evolved from a cover act to a group with its own material, which was offered for the first time through the 2012 private EP ''Epsilon''. Having being an act which started playing covers of P.F.M., BANCO DEL MUTUO SOCCORSO, LE ORME and other classic Italian bands, it is pretty reasonable that FEM's style contains evident hints from the Italian Prog scene.They come close to the likes of RANDONE and second period LE ORME, maybe with a more pronounced modern flavor through the constant use of synthesizers, and if you search for melodic Progressive Rock with romantic Italian lyrics you should look no further.The music of FEM has evident symphonic orientations with the omnipresent synths being supported by beautiful piano textures, while the guitar parts are carefully played with a fair sense of melody.Of course the powerful keyboards do add a Neo Prog approach to the whole album, but there are still some discreet organ to be found in here, while even the voice of Giacomo Balzarotti comes in a very poetic style, similar to Italian singers of the past.All pieces are pretty strong with bombastic instrumental themes, Classical references, instant melodies and impressive songwriting with cohesive links between the smoother and more dynamic changes and some atmospheric tension, which comes as a trademark of the group. Really cool Italian Neo/Symphonic Prog.The first signs of FEM Prog Band are more than encouraging.A band to keep an eye on and a must have for fans of Italian-flavored Progressive Rock.Strongly recommended...3.5 stars. FEM Prog Band is a relative newcomer from the Milan area whose roots date to about 2007. There have been several personnel changes but the line-up is now stable and they are poised to begin recording their first full length album titled "Sulla bolla di sapone". In the meantime they have released this EP in Spring 2012 as a public introduction to the group. The band are influenced by and unashamedly smitten with the 70s progressive rock and the Italian symphonic greats, having a background of doing covers by Banco and Orme. "Epsilon" features just four tracks totaling about 23 minutes yet it leaves a very clear indication of the group's potential. Their enthusiasm for the classic symphonic scene is most evident yet they are likely affected somewhat by musical movements since, such as neo-prog and prog-metal. The album begins with two shorter numbers which feel like a two-part set-up or introduction to the two longer, meatier tracks which follow. "Nel Mezzo Del Cielo" offers it all up without hesitation. Big "sticky" synths and robust lead guitars delivery a heavy, fuzzy opening with an upbeat feel. This gives way to an introspective section with piano and finger-picked acoustic, very beautiful, leading to the first vocals. Mr. Balzarotti may not be amongst Italy's most mind-blowing lead vocalists but he is very good indeed. Putting a finger on their sound is not easy for me, I was reminded of Corte Dei Miracoli, Nuova Era, Coral Caves, and sometimes Yes. The closer "Noi, Granelli Di Sabbia" is the second long piece at around 10 minutes. Again it begins with a moderately heavy key/guitar jam leading to a light acoustic section and the vocal, soon rejoined by the grandiose keyboard sound. The long and winding guitar solo at time reaches some real heights, very colorful and emotional, backed by a thick wall of mellotron/bass/drums which push it further. There is great potential and talent in this group yet this first display of composition leaves me less than overwhelmed. It's pretty safe, locked in a comfortable cruise-control, capturing the beauty of the sound but unable to pull me in or truly excite me. My rating (2 1/2 stars) is not a condemnation but rather an opinion that there is room for improvement and opportunity to challenge themselves in the writing process. That said, I do have a gut feeling their coming full length will be a huge step up from "Epsilon." This one is a fair introduction mostly for RPI enthusiasts. Forza Elettro Motrice (in short F.E.M.) began life in Meda, near Milan, in 2007 on the initiative of keyboardist Alberto Citterio and guitarist Paolo Colombo with the aim to rediscover the progressive rock sounds of the seventies. 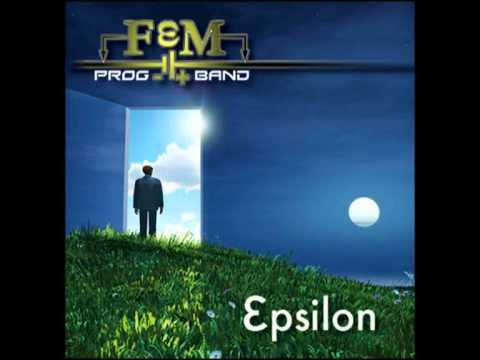 After some line up changes the band started to work on some original compositions and, after a first demo in 2011, in 2012 they released Epsilon, a debut EP featuring four pieces for about 22 minutes of music. The current line up features Giacomo Balzarotti (vocals, classical guitar), Emanuele Borsati (drums, percussion), Marco Buzzi (bass), Alberto Citterio (piano, keyboards) and Paolo Colombo (guitars) and the result of their efforts is quite interesting. The overall sound of the band draws on the style of Italian prog masters of the seventies such as Banco del Mutuo Soccorso, Locanda delle Fate or Alphataurus but the enthusiasm of the musicians is great and their song-writing skills good enough to express something original and not too derivative. 'Noi granelli di sabbia' (We are grains of sand) is another long, complex track. This excellent piece concludes the album describing the 'landing'. Well, when you fall down after a dream the impact is not always so hard, you can survive and sometimes you can even enjoy the perfume of the earth and discover new colours around you... 'And feeling the earth in the palms of my hand I rediscover its aroma... Feeling like a grain of sand and forgetting that in front of us there is the sea to gaze at...'. The music every now and again could recall Genesis while the warm, heartfelt singing of Giacomo Balzaretti depicts the need to accept what life brings to us without trying to obtain what is out of reach. You can't stop the time or the wind and you can't keep on longing to be somewhere else at all costs, you have to look at yourself in the mirror and face reality... 'Grains of sand spread in the world, I will recognize my eyes / I will recognize myself / I will accept myself and my image will reappear in the mirror...'. Well, in my opinion this is a very promising debut. The band has a good potential and the musicians are still working on a more challenging task, a concept album inspired by a science-fiction story by German writer Kurd Lasswitz. Sulla bolla di sapone. I'm looking forward to listen to it!